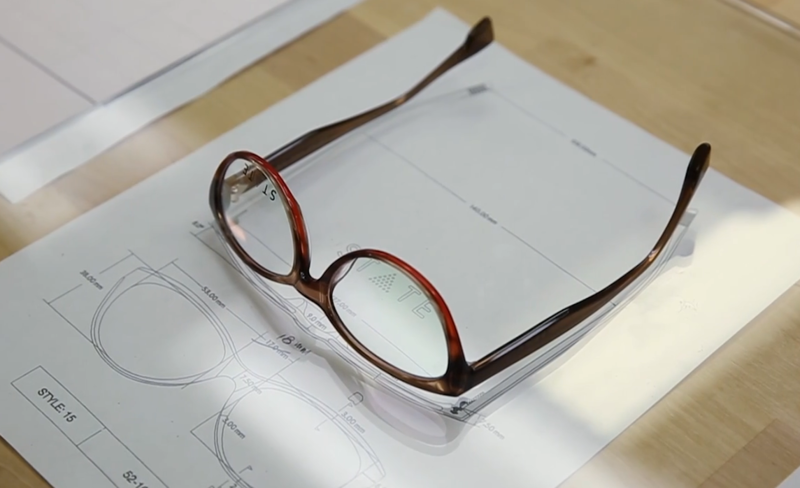 Since everyone is welcome to visit State Optical’s facilities to see eyewear manufacturing, we decided to visit the factory, located in suburb of Chicago, in July 2016. It was an incredible experience. We love the building’s picturesque location and its modern interior design, which includes an upcoming interior basketball court. 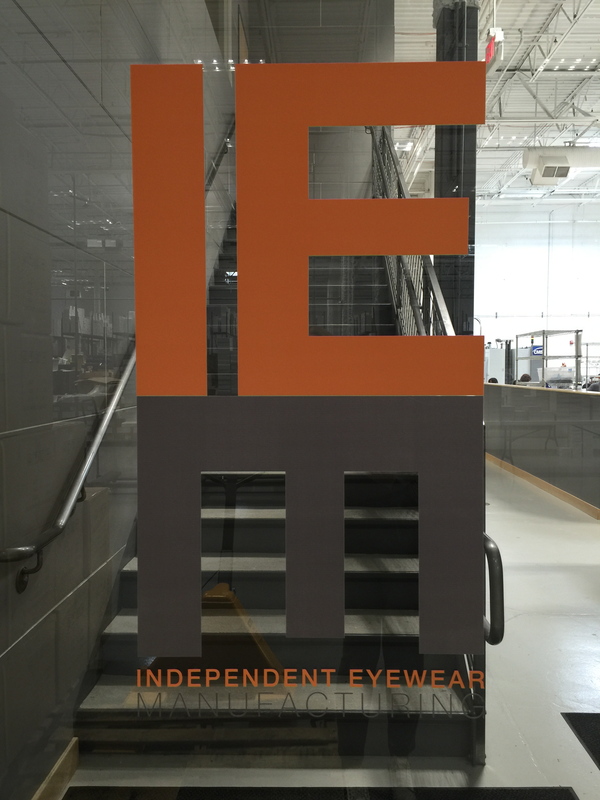 Skilled workers,or craftsmen wear t-shirts with the logo IEM—Independent Eyewear Manufacturing. Craftsmen in training, however, don’t have the right to wear the shirt. They have to earn it. Jason and Marc do the training and it takes about six months for a typical craftsman to come up to full speed. Why? 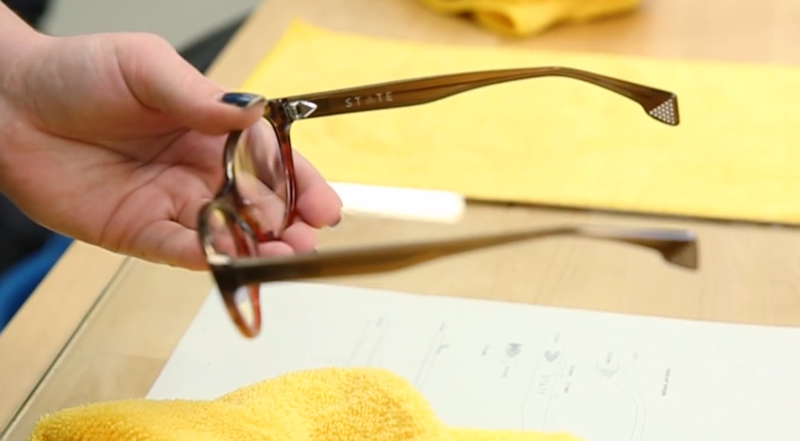 Because over 50% of State’s acetate frame production is done by hand and it takes an average of 70 different steps to make a basic acetate frame. 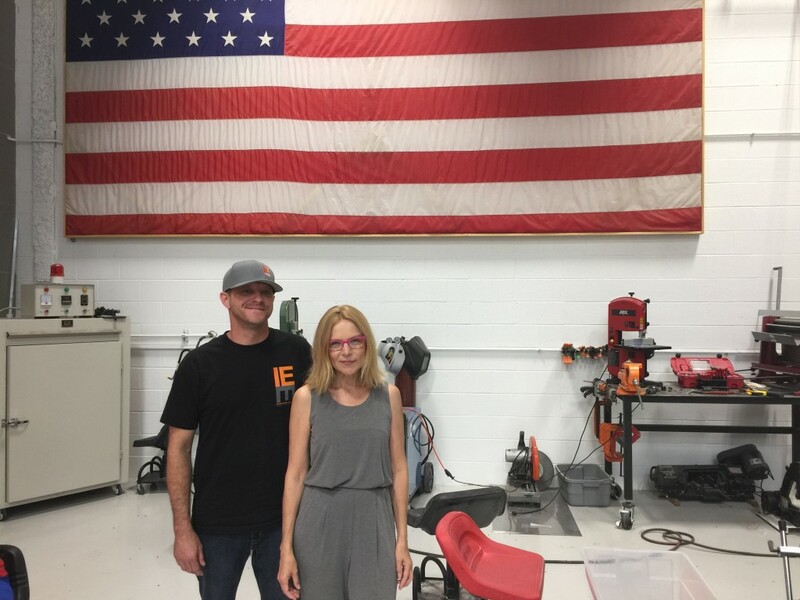 Jason Stanley of IEM and Onega Astaltsova at State Optical eyewear manufacturing, USA Jason Stanley was a judge for America’s finest optical store contest in 2016, holding by professional eyewear publication. Onega was a judge for the same contest in 2015. IEM uses a total of 60 pieces of equipment and 42 of them are brand new. 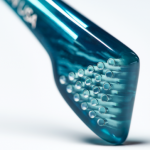 Of all of these, the team is the most proud of the state-of-the-art factory Computer Numerically Controlled, or CNC machine, which cuts the front of the frames. It is one of the most high tech eyewear manufacturing pieces of equipment in the world. Only two such machines exist and both are at IEM facilities. One of them has been named “MASON” after Marc and Jason. 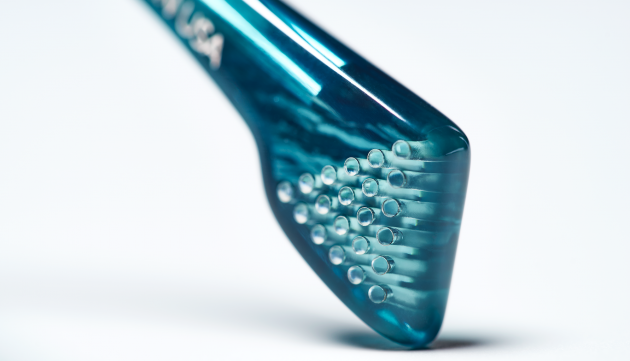 It is a phenomenal piece of equipment. 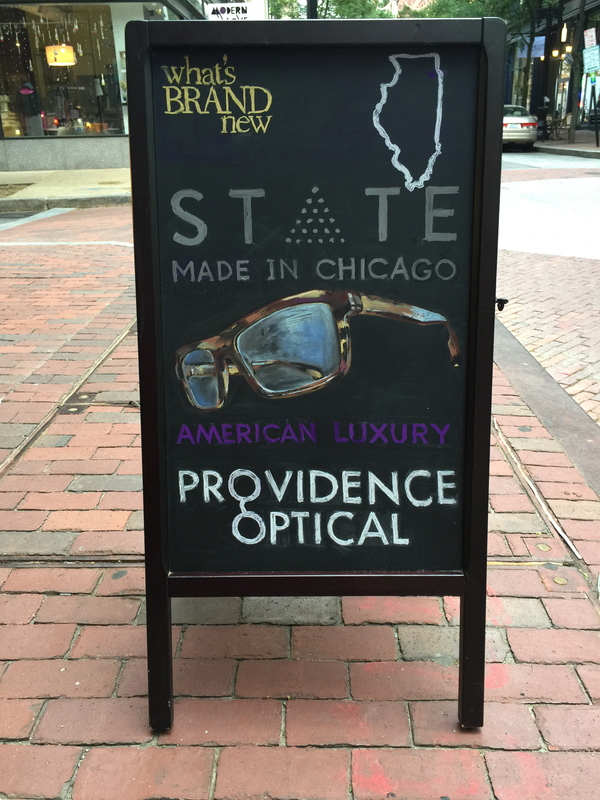 Read full story on State Optical in our May 2016 blog.